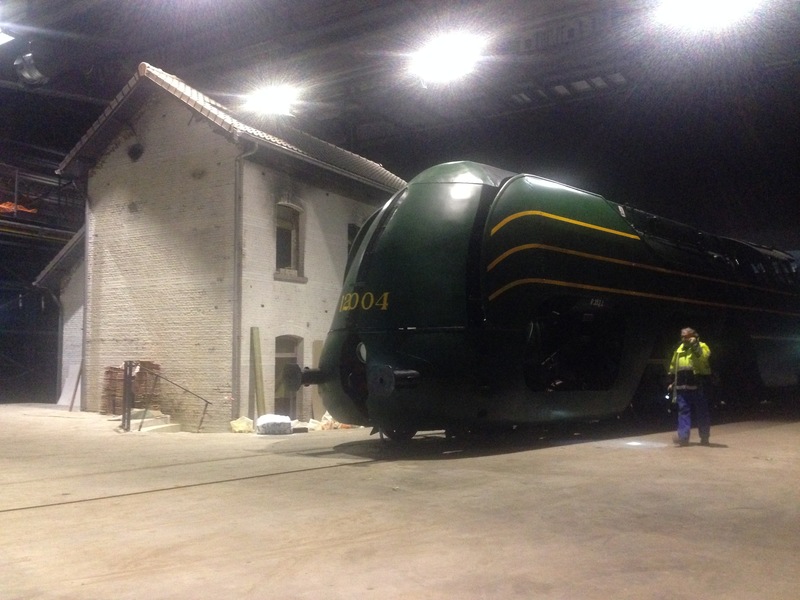 In the night of November 24, 2014 the 12.004 locomotive La Douce arrived in Trainworld in Brussels. La Douce will be one of the center pieces in the new museum Trainworld. A museum that will provide a complete experience around the Belgium trains. François Schuiten made the concept of the museum. It will be the last trip of La Douce. This blog post was created on 2014-11-28 at 15:54 and last modified on 2018-05-06 at 08:40 by Joseph Le Perdriel.